Hong Kong is a fantastic place to take a vacation. There are many fascinating things that you can see and do in this tourist friendly city. You could visit Madame Tussauds, Ocean Park, Disneyland, and other entertainment venues. The Buddhist sanctuary at Chuk Lam Sim is an interesting site as well. You might also want to go to the top of Victoria Peak to get a better look at the city. All drivers in Hong Kong need to have third party insurance, and the vehicle’s license needs to be on the left part of the windshield. When you pick up your rental car, you will want to make sure that you have the required insurance and sticker so you do not run the risk of getting pulled over. 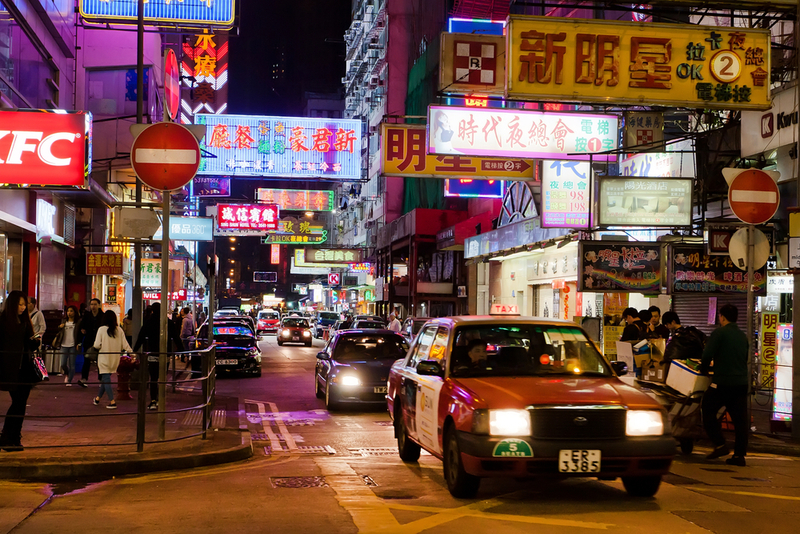 Those who are vacationing in Hong Kong are able to use their domestic driver’s license and their international driver’s permit for up to 12 months, so you should not have a problem driving on your vacation. The minimum driving age is 21 years old. When you rent a vehicle in Hong Kong, make sure you get the phone number and emergency contact information from the rental company, just in case you need to get in touch with them. When you have a rental vehicle, it is much easier to get around and to visit all of the places you want to see on vacation. The roads in and around Hong Kong are in excellent condition. The highways, streets, and residential locations all have good lighting, so driving at night should be easy and safe. The drivers in Hong Kong are generally paying attention to the traffic laws, but that’s not always the case. The roads can become crowded, so you will want to drive cautiously. When you are driving, you cannot use a cell phone unless it is on a hands-free system. In Hong Kong, the traffic flows on the left side of the road, and you will overtake other vehicles on the right. Children who are under 15 years old need to be in child restraints that are suitable for their size. The drivers and the passengers in the vehicle are required to have seatbelts on. You shouldn’t have any trouble reading the signs in Hong Kong. They will generally have English placed above Chinese. Signs with number, such as speed and distance, use western numbers. When vehicles are entering main roads from the smaller roads, they are supposed to give way to the traffic that is already on the main roads. Vehicles that are making right turns must also give way to the oncoming traffic. Pay attention to the road signs so you can follow the speed limit in different areas. The typical speed limits are as follows. Have a good time on vacation, and be sure to have a rental car at your disposal. It will make getting around easier.